Ladies of the night = fallen angels? The display of techniques and professionalism makes a barista look cool. One that is versed in cunning latte art can almost certainly attract a large following. Barista Zero Chan has been in the trade for six years. His specialty is Aeropress brewing, which is totally uncool and unpopular among his peers. Coffee drinking is an experience beyond the sense of taste, he asserts. His only wish is to create a brew that is uniquely Hong Kong. 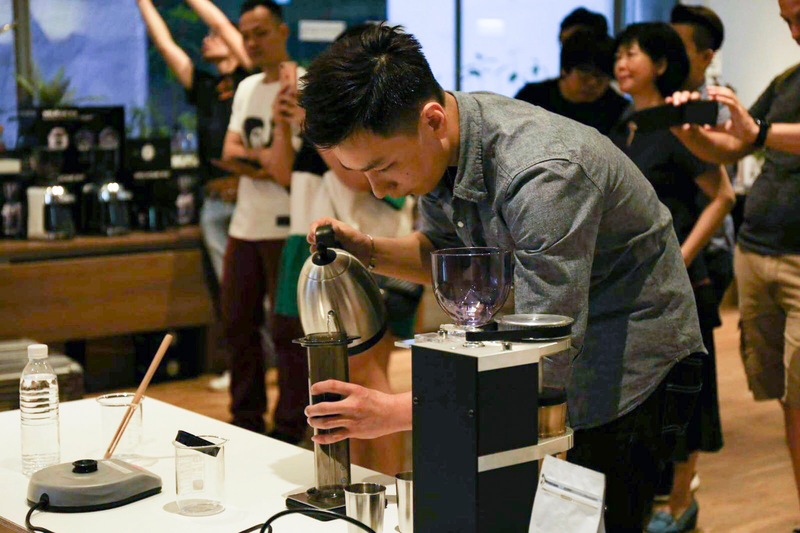 Zero wanted Number Nine to be the first in Hong Kong to promote Aeropress brews. Zero quited school half way through Form 3. A number of jobs followed. He has worked in a warehouse and community centre. He even teamed up with friends and opened a leatherwork studio. When he turned 27, he opted for a fresh career as a barista trainee with a skinny monthly pay of HK$7,700, which was even less than what he earned at the community centre. Zero participated in industry-wide competitions. 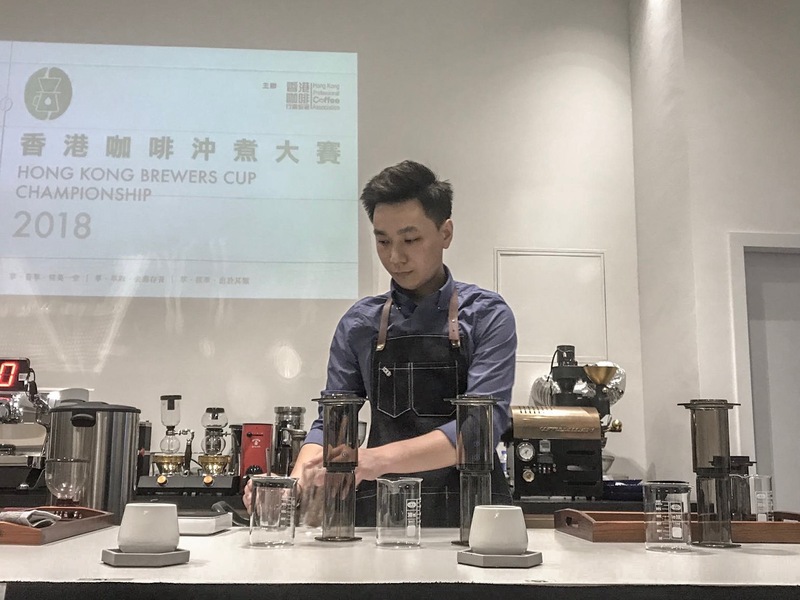 In 2017, he came out third in the Hong Kong Aeropress Championship. That was 2012. Coffee drinking was remotely a culture in Hong Kong where coffee shop chains ruled the roost and made machine brewed coffee a lifestyle. It was also then latte art started to gain popularity in Korea. Zero’s potential employer also tried to capitalise on the trend. 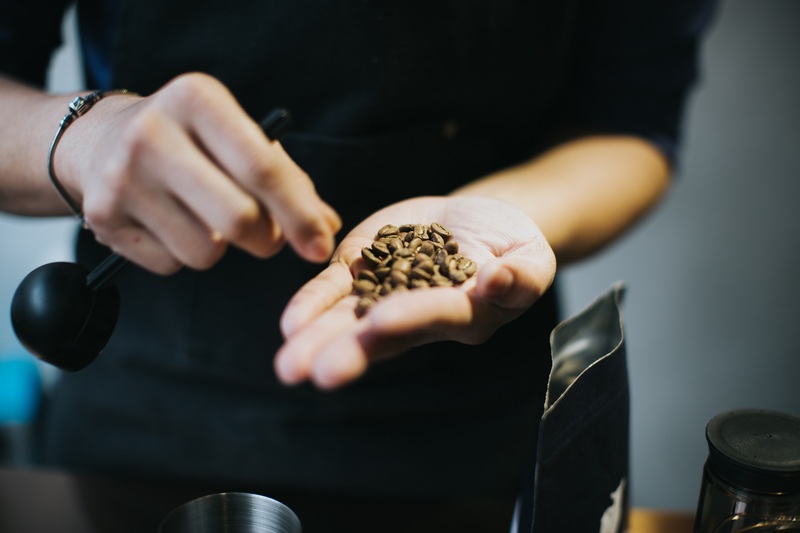 Zero has to try out different beans and roast them to identify the most suitable beans for the Aero Press brewing method. Coffee brewing is a craft in its own right. One needs to hone the skills so as to achieve the texture. The perfect marriage of milk and coffee is the result of a lengthy process of trial and error. Zero was one who practised at home after work. What he lacked in talent, he made up for in diligence and a keen interest to boot. In about 18 months, he rose through the ranks from a Level E trainee to Level B. “During practice, we would gather round and taste what we made. The big moment arrived when the supervisor called my brew a standard.” Afterwards, he left the franchise for a friend’s invitation to a coffee shop venture. Ambitious he might have been, Zero said, a year at the new shop proved him inadequate — he was unable to produce the desired taste. He felt inept. Fortunately, he tumbled on another chance. In 2014, independent coffee shops started to sprout in Hong Kong. They all had their own niches, aside from a signature coffee art design. Zero homed in on the taste aspect instead of joining in the coffee art competition. Then and there, he started to study the impact of coffee roasting on the taste and texture of the end product. One day, a customer ordered an espresso followed by a piccolo latte. A chat with a colleague revealed that that customer was in fact a fellow barista who roasted his own beans. He tracked him down on social media and in a rather direct manner asked to be his protégé. Eventually, Zero became his assistant. Aside from learning coffee roasting techniques, he also helped train up the coffee shop’s staff. To further his career, Zero participated in industry-wide competitions. In 2017, he came out third in the Hong Kong Aeropress Championship. Providing coffee lovers a pleasant coffee drinking experience one after another is a humble wish for most baristas. 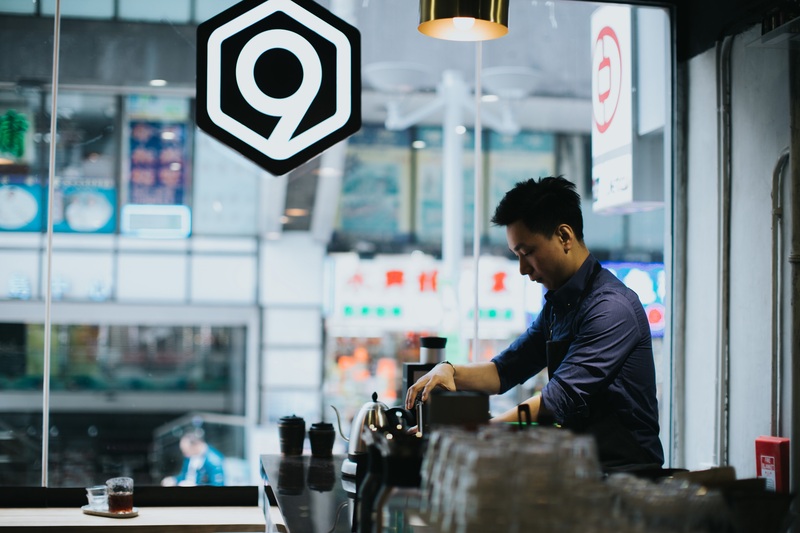 In September 2018, Zero became a co-owner of coffee shop Number Nine in Tsim Sha Tsui serving primarily Aeropress coffee. “I already planned to open a coffee shop when I first tapped into the field in 2012.” With such a clear goal in mind, he spared no effort in equipping himself. He learned all the steps from roasting to brewing and challenged himself by participating in competitions. If one will not, another will. This explains Zero’s choice of Aeropress as Number Nine’s signature. It is very much about taking on a challenge. It may also be an ambition to break away from the hand brew trend in Hong Kong. 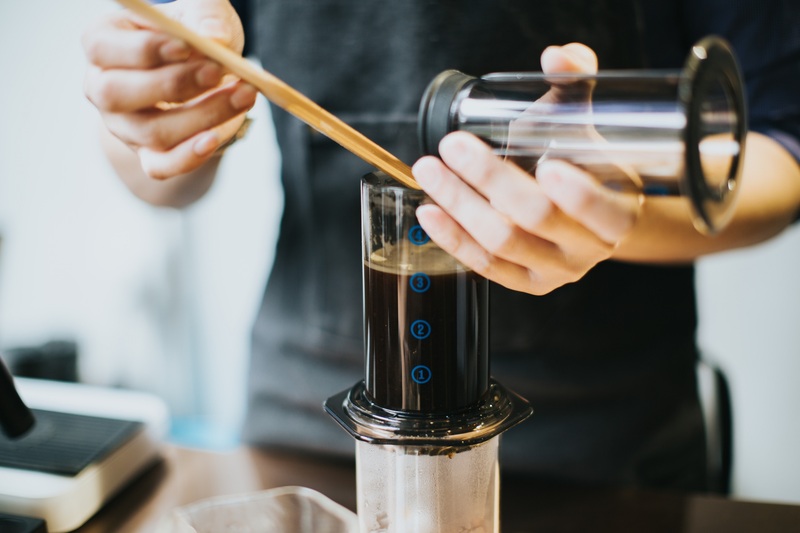 “When it comes to hand brew coffee, the majority of baristas favour V60 dripper for its user-friendliness.” The Aeropress however looks like a syringe and requires presses and stirs, something that is not cool. 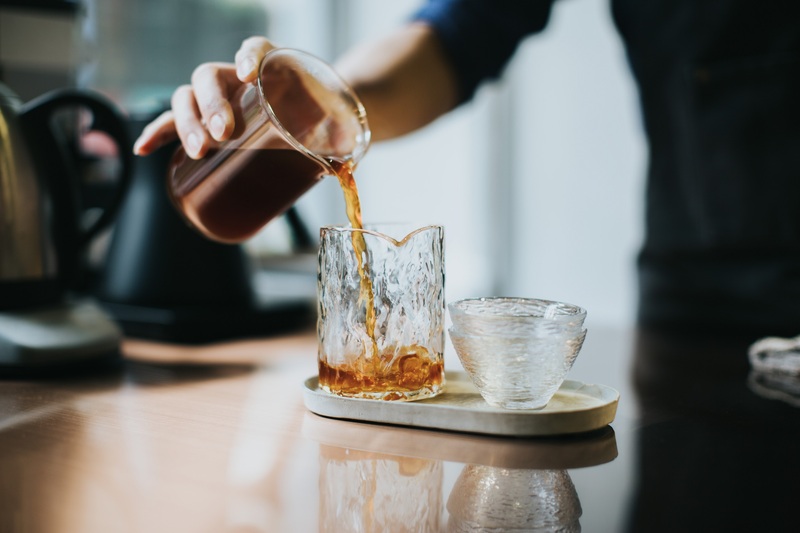 ”Some have even pointed out that Aeropress keeps particles and makes the coffee rough.” He said that coffee lovers in Hong Kong can savour a good siphon or V60 hand brew from some well known baristas and coffee shops. Rather, he wanted Number Nine to be the first in Hong Kong to promote Aeropress brews. Zero said he has learned a lot from participating in the industry competitions. It is easier said than done. “I need to try out different beans and roast them myself so as to identify the most suitable beans. Meanwhile, steeping and pressing can help increase extraction but over-extraction can result in bitterness.” Zero mentioned also that metal filters of different micron sizes have different characters that can affect extraction time and in turn the coffee’s flavour intensity, viscosity and cleanness. The shop is new and success is far away. What Zero wants the most is to provide coffee lovers a pleasant coffee drinking experience one after another. The hand brew culture is deeply rooted in Japan and Taiwan and the two regions boast their own brews. As a barista in Hong Kong, Zero is working hard with an ultimate goal to give the city its very own. Hong Kong-born mime actor Gaffer Tsui: Leave it or Love it Ladies of the night = fallen angels?